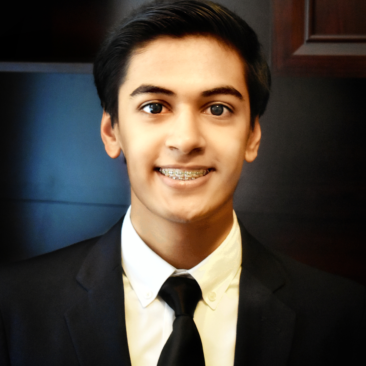 I am a Senior in high school and hope to pursue a career as a physician. What AEOP program(s) did you participate in? If you are considering participating in an AEOP program, I highly recommend doing so. The experiences that you will have can change your life, and you will learn more through experiential learning than in a traditional setting. Take a leap into STEM and watch as the doors open for you. Best Things about the Program? JSHS was an amazing experience because it gave me an opportunity to share my research with my peers and military researchers. In addition, the friends that I met at the Junior Science and Humanities Symposium (JSHS) have become some of my closest friends. 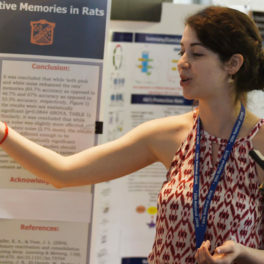 Meeting like-minded student researchers was an incredible opportunity to not only bond with others but also to discover some of the groundbreaking research being done around the country. Furthermore, traveling around the country to present my research gave me a broader perspective about the impact that I can make with my research in the STEM field. How Participating in AEOP Inspired You to Advance in the STEM Field? Seeing all of the incredible research at JSHS has inspired me to push the limits of science and technology. JSHS has motivated me to pursue my passion as I have realized that my contributions can make a real impact in the world. JSHS was also an incredibly enjoyable experience and the fun I had while traveling and bonding with my friends has encouraged me to pursue the exciting field of STEM. Who is your favorite STEM role model? My STEM role model is Thomas Savery because his invention of the steam engine ignited a technological revolution and created the basis for modern machines.